A project by Gandong Cai MLA ’17 and Mingjie Cai RISD MLA ’18 is one of ten Honorable Mentions awarded in the international landscape concept competition LA+ Iconoclast. The competition drew 382 entrants from 30 countries. The winning projects will appear in the Fall 2019 issue of LA+ Journal. 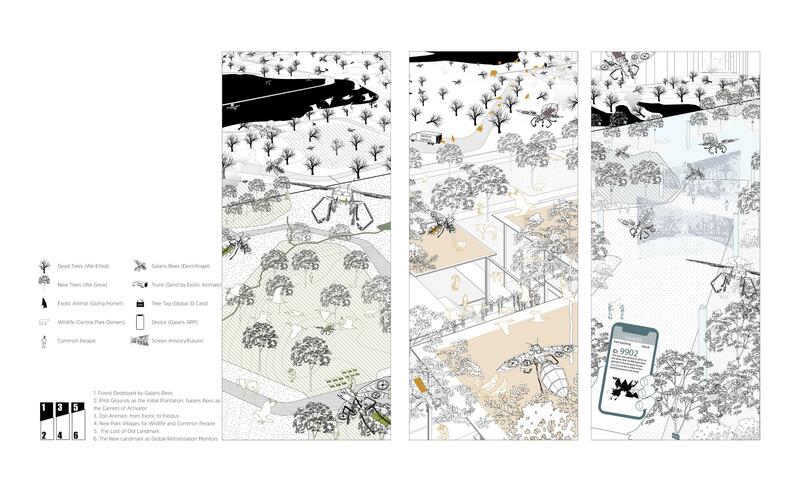 The competition brief asked designers to reimagine Central Park, looking at questions of how we represent nature and how we think about public space today. Instead of asking the question “what would Olmsted do today,” Gandong and Mingjie Cai’s proposal asked “who can be the new Olmsted?” View their plan: The Gaians. After graduating from the GSD, Ruth Chang MArch ’17 is now back in Toledo, Ohio—her hometown—to start a nonprofit invested in the cultural renewal of the Midwestern region. Midstory‘s mission is to inspire, attract, and retain young talent by telling the hidden stories and enacting thought projects and programming in the area. 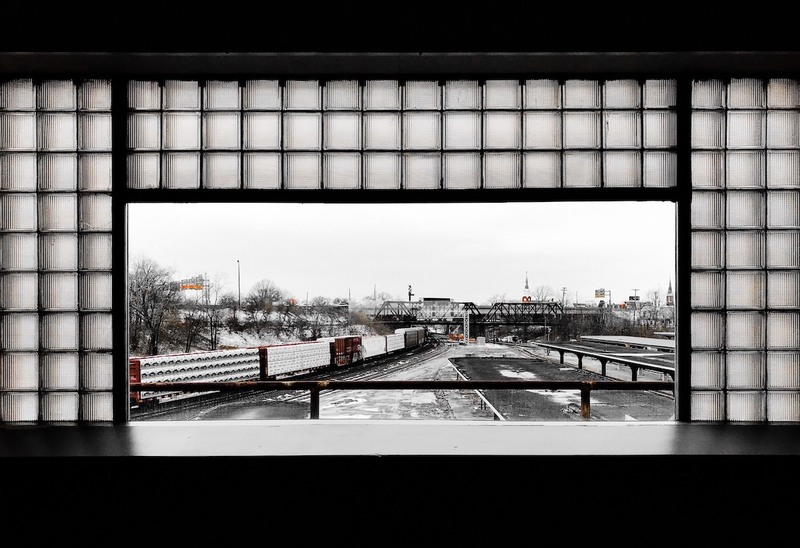 Together with two of her Princeton alumni classmates and one alumnus from MIT, Ruth and her colleagues are on the ground to re-imagine the future of postindustrial towns in the Midwest, beginning in Toledo, Ohio. Seventy-three percent of the internet publishing and media broadcasting jobs are to be found on the East and West Coasts, leaving many American cities that constitute “flyover country” largely voiceless in the recent political and cultural upheavals in the nation. Many of these cities need a new image inside out, and outside in, and Midstory is using ideas, multimedia, and design to help shape and change perception about Middle America. Midstory has been busy planning for an exciting upcoming summer, from college internships to high school mentorship ThinkLab to a citywide gala that focuses on rallying the city’s nonprofits, small businesses, and individuals under one artistically-curated event at the city’s train station. If you are interested in the Midstory of these young people returning to their Midwestern home, or would like to share your advice, expertise, or resources, visit their website or reach out any time to Ruth at rchang@midstory.org. Research and design work led by Wendy W Fok DDes ’17, founder and creative director of WE-DESIGNS, LLC., is currently part of the collateral exhibitions at the 16th International Architecture Exhibition, as part of the 2018 Venice Biennale. The project, Bio Data x Matter, consists of design objects created through digital fabrication methods using bio-degradable materials and organic matter sourced from New York City. Each object is “carefully curated with active biomatter embedded with data that represents New York City, to critically provoke a dialogue between the microscopic biological and digital data embedded lives we live in,” according to the project brief. 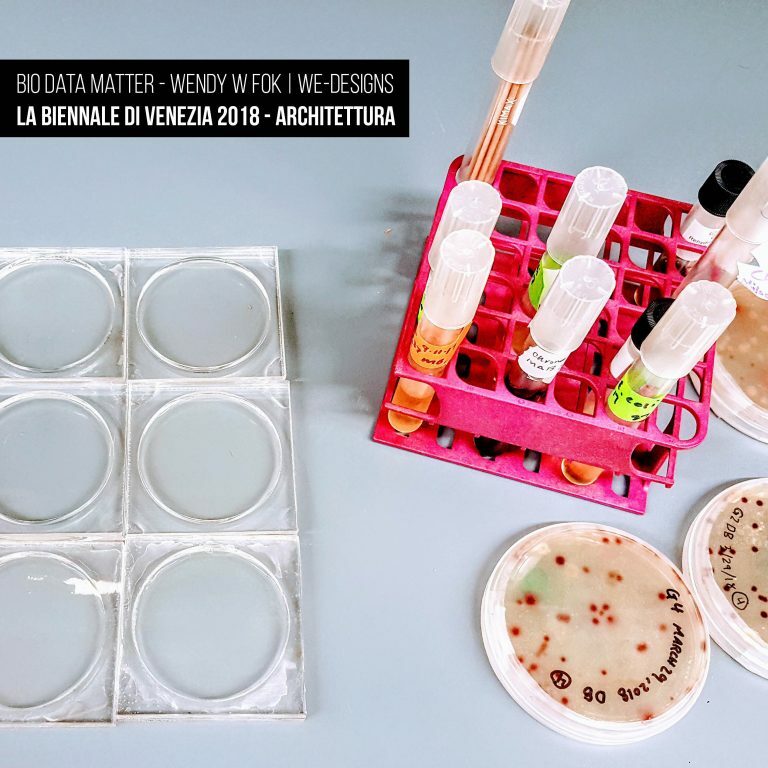 Bio Data x Matter is on view at Palazzo Bembo in Venice, Italy, through November 25, 2018. A book on the project is in the works, with a tentative release date of summer 2019. Image courtesy of WE-DESIGNS, LLC. “These distinctive smells and tactile shapes remain the most instinctual way I continuously experience and develop the nostalgia and memories of my Hong Kong identity, even from the other side of the world. 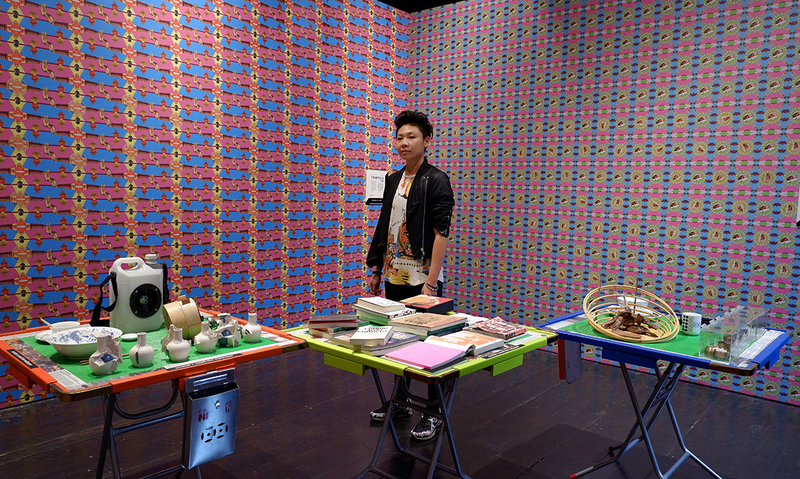 And, I would like to use this installation to share that experience with the public,” says Fok. “Sensorial Estates” was featured on BBC London. View a demo of the room and check out the installation process. 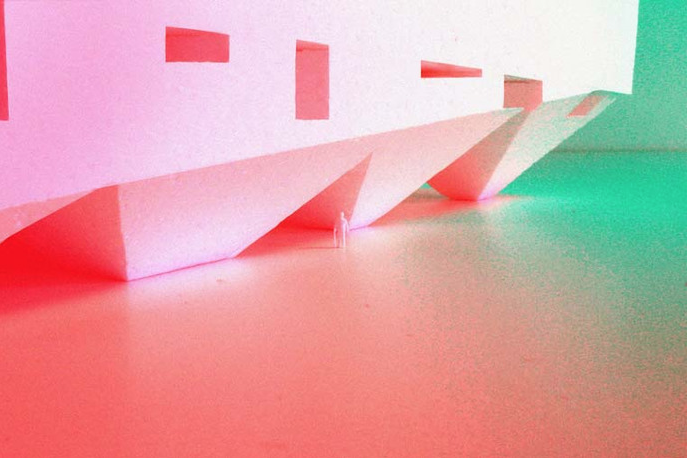 Gandong Cai MLA ’17 fourth semester’s studio project was selected as one of the final four shortlisted projects in WLA student award and published in the WLA Award Magazine. Cai was one of seven students who selected to take part in Professor Martha Schwartz’s studio in the fourth semester which focused on shifting the global warming trend by rethinking the process of sequestration. The 2018 World Landscape Awards attracted entries from around the world and once again the quality of the entries was high and made it hard for the jury to score. The WLA Awards include five categories (Built – Large, Built – Small, Conceptual, Student and Editor’s Award). 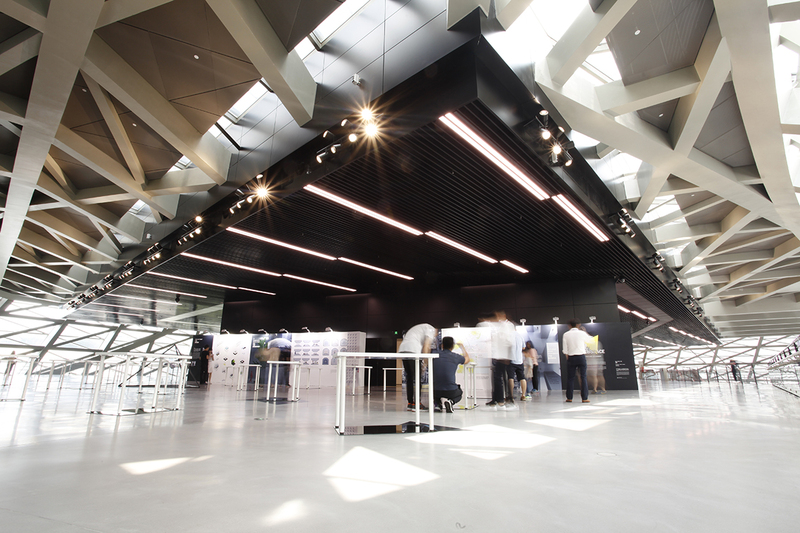 A new exhibition curated by Yujia Wang MLA ’17 and Gandong Cai MLA ’17 is on view through April 30, 2018, at the Shenzhen Museum of Contemporary Art & Planning Exhibition (MOCAPE) as part of Shenzhen Design Week. Entitled “Urban Underspace,” the show is inspired in part by research completed during their time at the GSD, advised by Professor Niall Kirkwood. Find more details, including the exhibition’s exact location, on the poster below. Greg Hopkins, a 2017 graduate of the Master in Design Studies program with a concentration in Energy and Environments, has been named one of ten inaugural 1 Hotels Fellows at E2 (Environmental Entrepreneurs), an affiliate of the Natural Resources Defense Council (NRDC). The fellowship aims to provide early and mid-career entrepreneurs support to develop projects designed to advance smart environmental and clean energy issues across the United States. Along with a $25,000 award, winners receive membership to E2′s Emerging Leaders program, as well as access to benefits of an E2 membership. Hopkins’ proposal for an online cleantech marketplace for small commercial buildings grew out of work he completed for his GSD thesis, “Energizing Retrofits in an Inefficient Market: A Scalable Model for Small Commercial Buildings.” As part of his thesis, Hopkins investigated market barriers that have historically made it difficult for small commercial buildings to adopt energy efficient upgrades. He also made suggestions for how to combat these limitations based on what has worked for other industries and new trends. Holly Samuelson MDes ’09, DDes ’13, assistant professor of architecture and area head for the Energy and Environments MDes concentration, served as his Faculty Advisor. 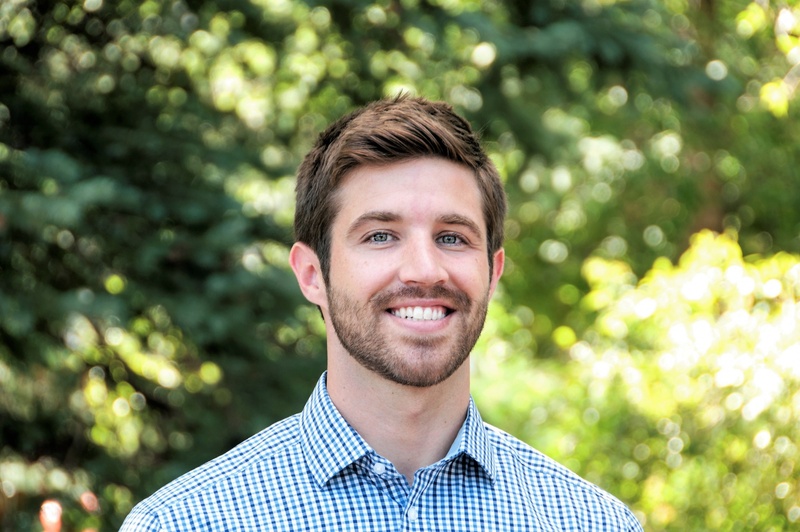 Hokins plans to pilot his online cleantech marketplace–a streamlined way to connect qualified service contractors and crowd-sourced investment capital with eligible energy efficiency and distributed solar projects–in Boulder, CO. 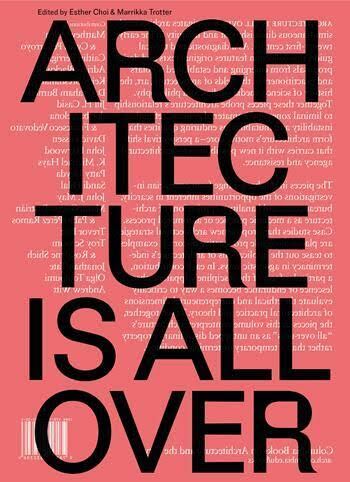 Architecture Is All Over, a book co-edited by Esther Choi MDes ’08 and Marrikka Trotter MDes ’09, PhD ’17, will be released in September 2017 by Columbia Books on Architecture and the City. AIAO consists of an array of essays and design proposals from emerging and established scholars and practitioners. 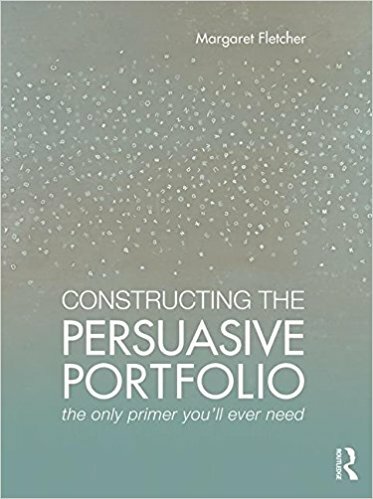 Contributors include Matthew Allen MArch ‘10, PhD ‘20; K. Michael Hays, Eliot Noyes Professor of Architectural Theory, Associate Dean for Academic Affairs, and Interim Chair of the Department of Architecture at the GSD; Patty Heyda MArch ‘00; John J. May MArch ’02, Design Critic in Architecture, Co-Director of the Master in Design Studies Program Area Coordinator, History and Philosophy of Design MDes area group at the GSD; Pablo Pérez Ramos MLA ’12, DDes ‘17; Trevor Patt MArch ‘09; Jonathan Tate MDes ‘08; and Andrew Witt MDes ’02, MArch ’07, Assistant Professor in Practice in Architecture at the GSD. The book is in many ways a follow up to the pair’s first volume, Architecture At the Edge of Everything Else, published by MIT Press in 2010. The project initially took the form of a student publication conceived during their time as graduate students at the GSD. Choi is currently a joint PhD candidate in the History and Theory of Architecture and the Interdisciplinary Doctoral Program in the Humanities at Princeton University. Trotter recently received her doctorate from Harvard, where she studied architecture, urbanism, and landscape. More information can be found on the Columbia University Press website. Image courtesy of Columbia University Press.